Happy Wednesday everyone. 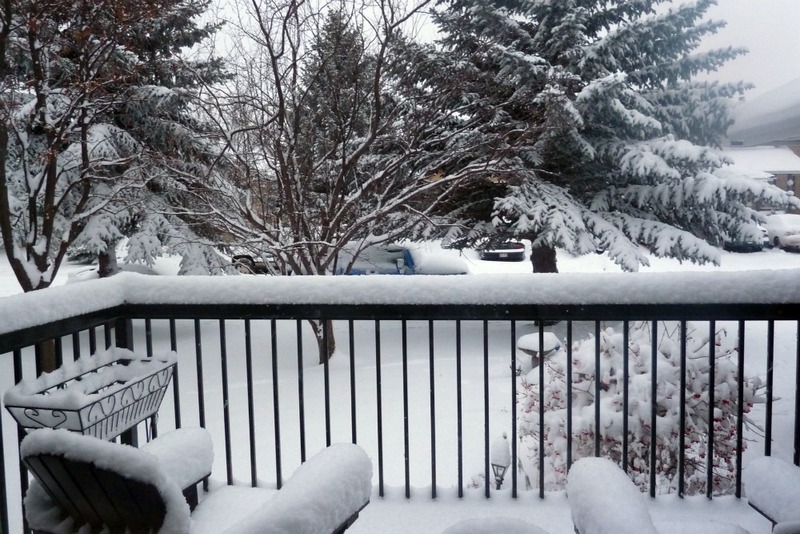 It’s still winter here in Calgary, and we’ve got a long way to go until it’s over, until it’s spring. 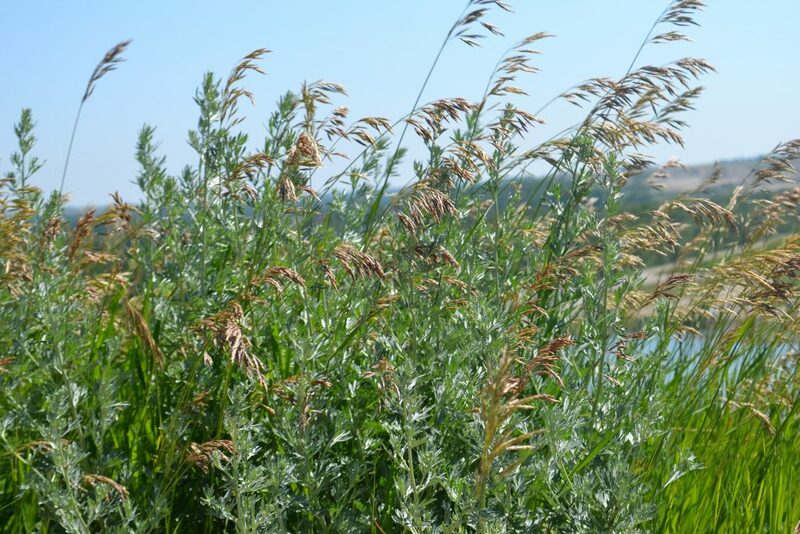 But nevertheless, I can’t help myself…..thoughts of spring are still rolling through my mind. I came across this fabulous piece from Houzz, as I subscribe to their email. It’s a wonderful article about “backyard retreats” and I so wanted to share it with you. You can find it here. Who wouldn’t love one of these little “outbuildings” in their backyard? 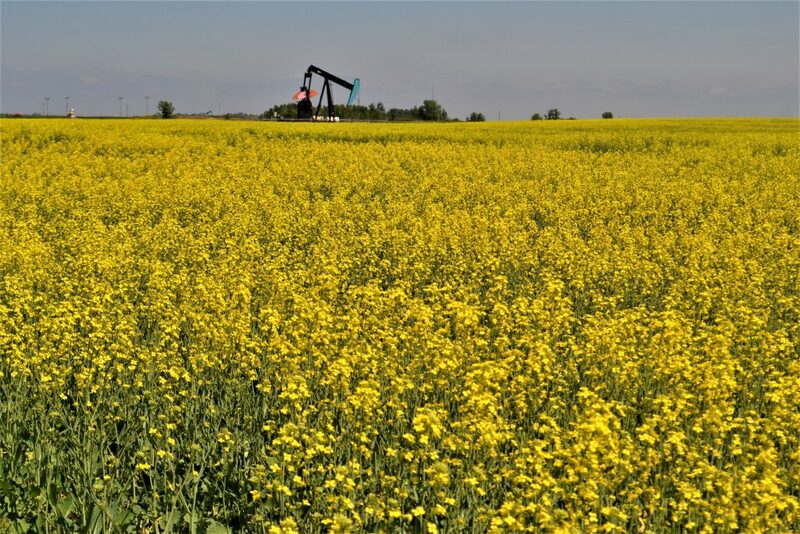 Here in Calgary, though, because of our climate, it would likely only be warm enough to work outside from May through October ish; and even then you’d NEED a baseboard heater of some kind. I often imagine – stitching and writing and sewing in that little gem for six months of the year! Wouldn’t that be lovely? And mice, that I never see. 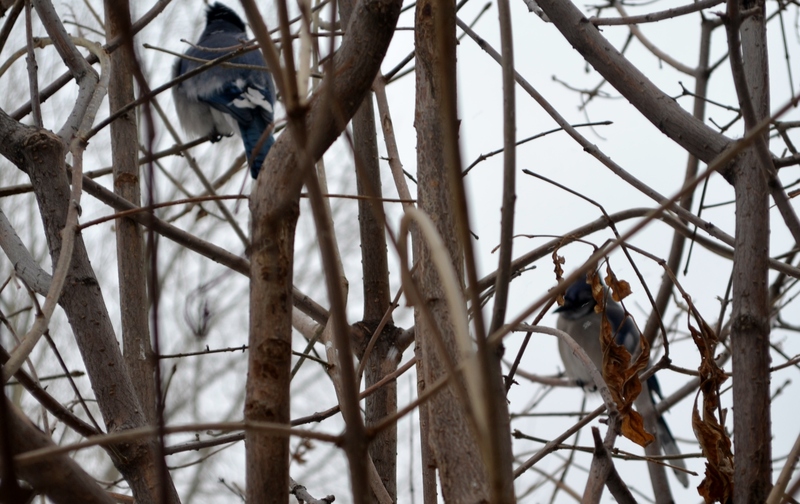 I know they are there because I feed the birds and mice love freefall birdseed. Would all these critters want to move into my little backyard retreat with me? 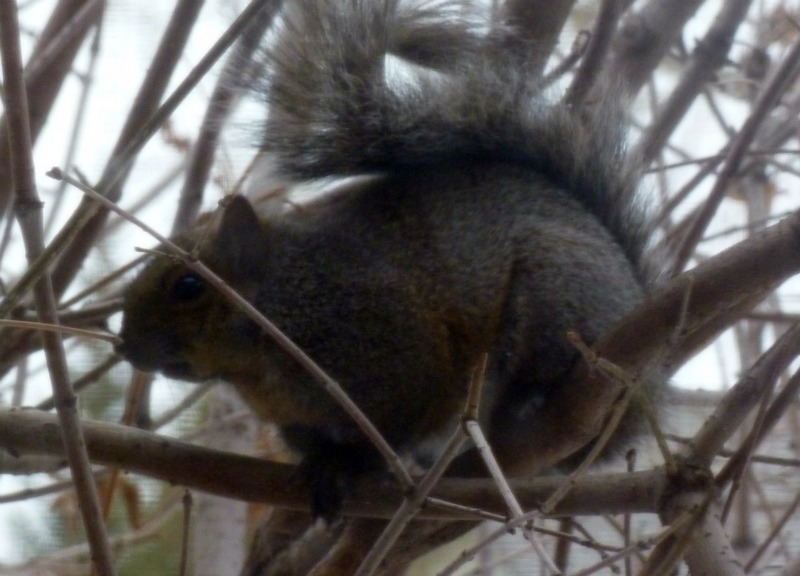 Would I have to share it with backyard vermin? Would I find mice nestling in my bundles of fabric? Ewwwww! THAT would definitely send me screaming and scrambling back to the safe confines of our house, never to enter my lovely shed again. In my dreams, vermin do not exist! So, take a minute to look at the Houzz.com piece and tell me which is your favourite backyard retreaet. You could very well win a lovely bundle of fabrics, photos of which I will share with you all soon. Take good care of yourself. Talk again soon. For some of us, the creative juices begin to flow the minute we leave the City limits. 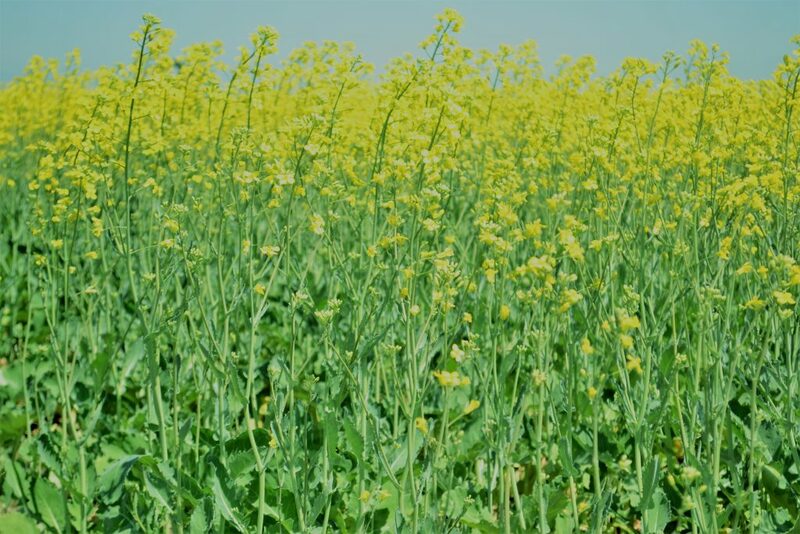 There is something so wonderfully powerful about being surrounded by nature and all its splendour….wide open spaces, fields filled with seasonal crops and unparalleled beauty. 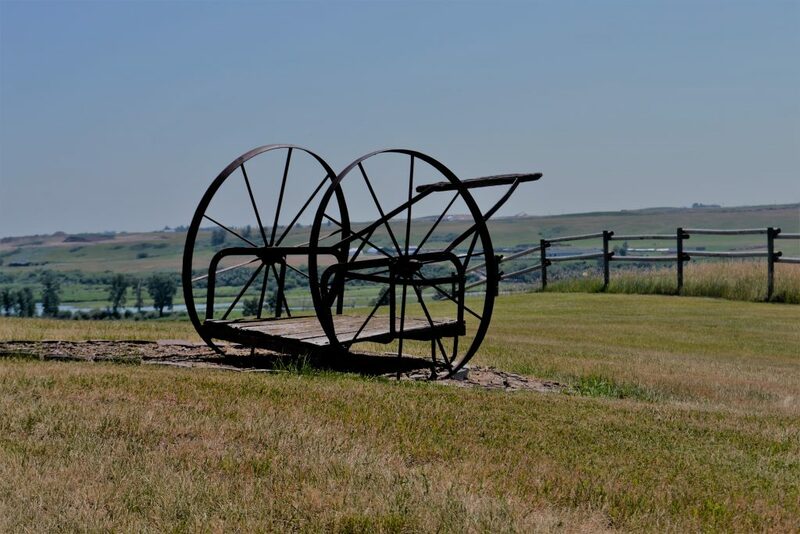 Last week, I took a trip to Carseland, a tiny hamlet south east of Calgary. 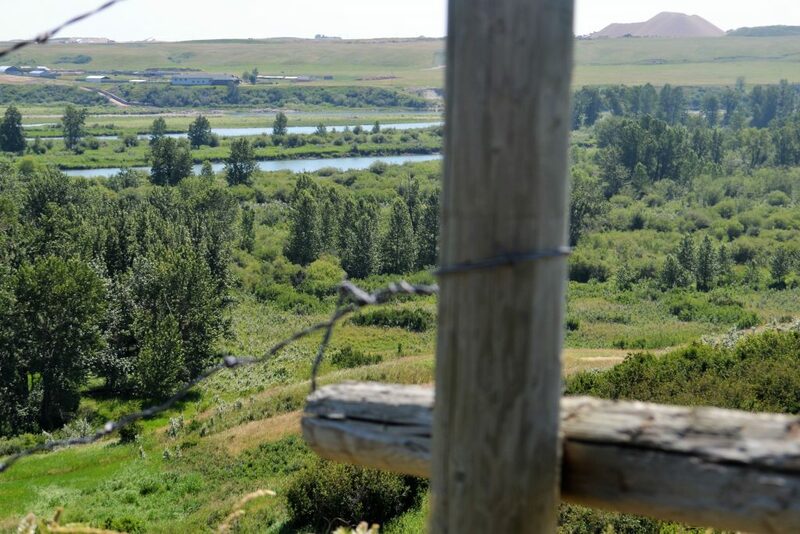 Travelling on Stoney Trail, I headed south as far as I could, then turned east on highway 22x. But rather than taking the left turn into Carseland, I went right heading to the Bow Bench Retreat. 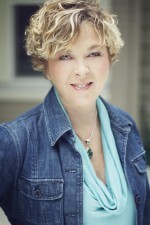 I was meeting with Nancy Strath, the lovely, accomplished, entrepreneurial founder of the Retreat. Nancy smiles a lot…but then, she has a lot to smile about! Outside the Retreat itself, stillness is the first thing that strikes you. 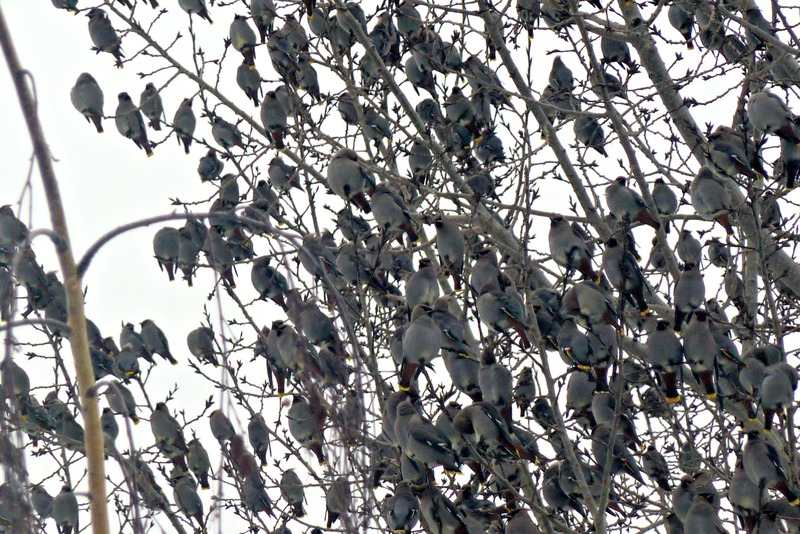 Then, you notice how many birds are singing. Next, you open your eyes to the spectacular beauty of the surroundings. 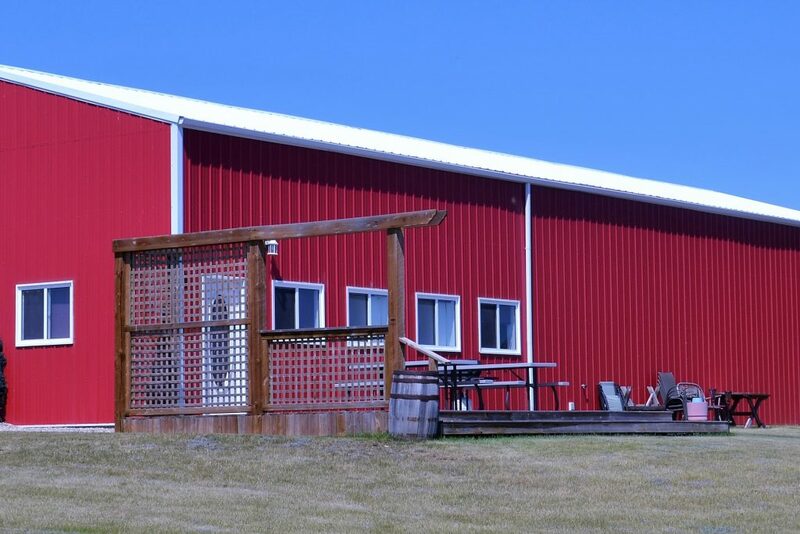 Overlooking the Bow River and Wyndham-Carseland Provincial Park, Nancy’s retreat is the visual definition of bliss. Nancy began this place from scratch, on family land, taking over the barn-like structure and filling it with “all things quilting”. There are sewing tables and chairs, power outlets everywhere. 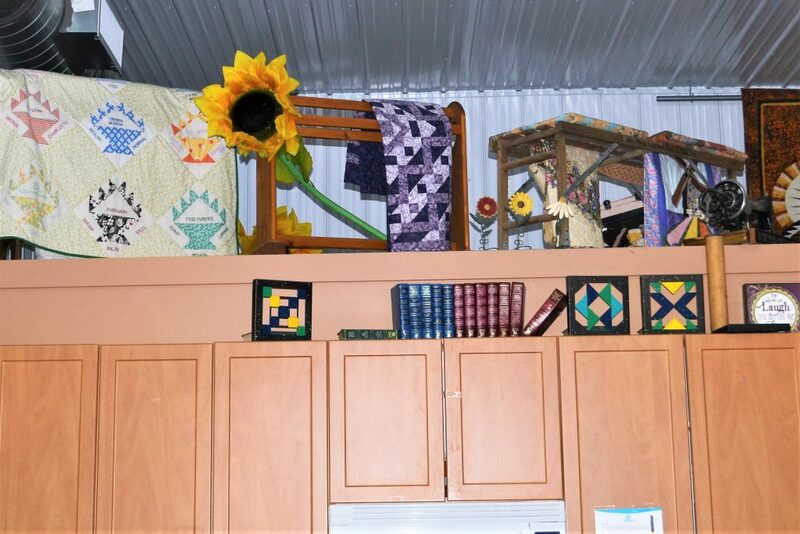 There is a cozy little kitchen and metal bars in the rafters where her quilts are hung. 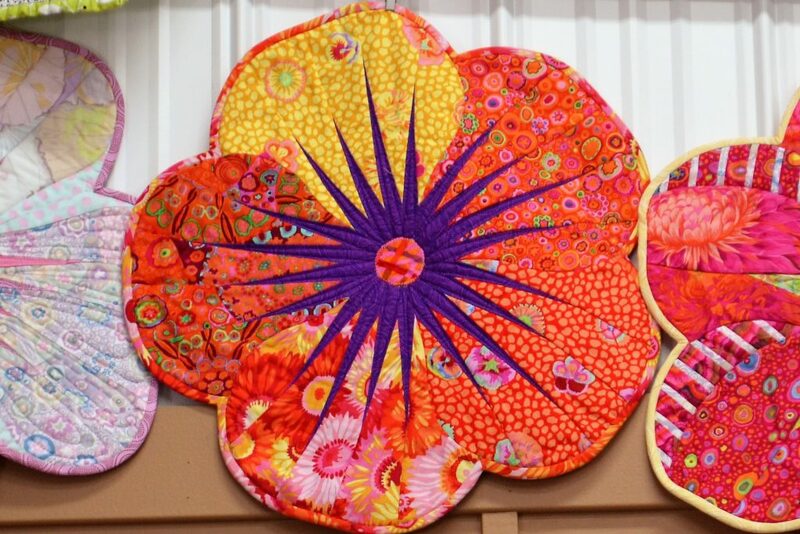 She wanted the retreat to not only be her sanctuary, but a sanctuary for all quilters who venture out. She says, “This place was created out of love and joy”. Nancy is a certified Judy Niemeyer quilt instructor and loves to teach the foundation paper piecing style that Judy advocates. “It’s like putting together a giant puzzle, says Nancy, Or like painting by numbers. 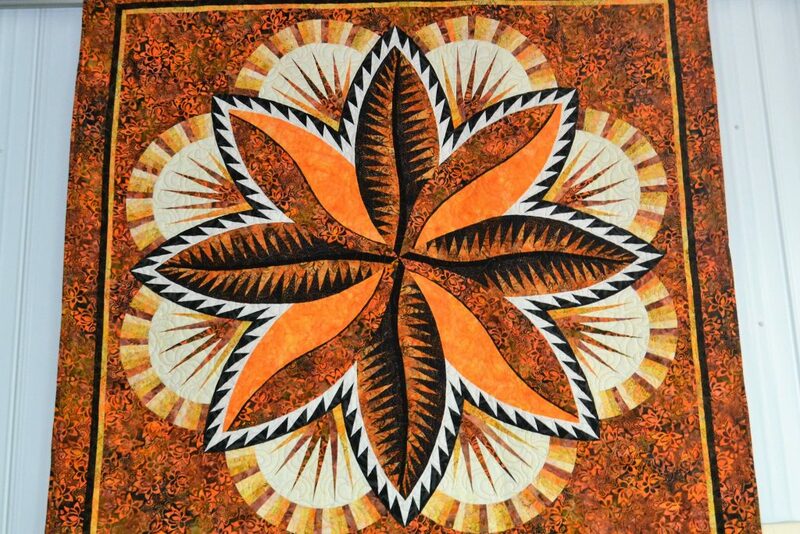 Although Judy’s patterns initially look daunting, they are detailed and organized, methodical and quite relaxing to work on,” she adds. Quilters come to Bow Bench not only to stitch and learn from Nancy, but to also experience her gentle and kind manner. She’s like a quilt counsellor….who offers therapy sessions! 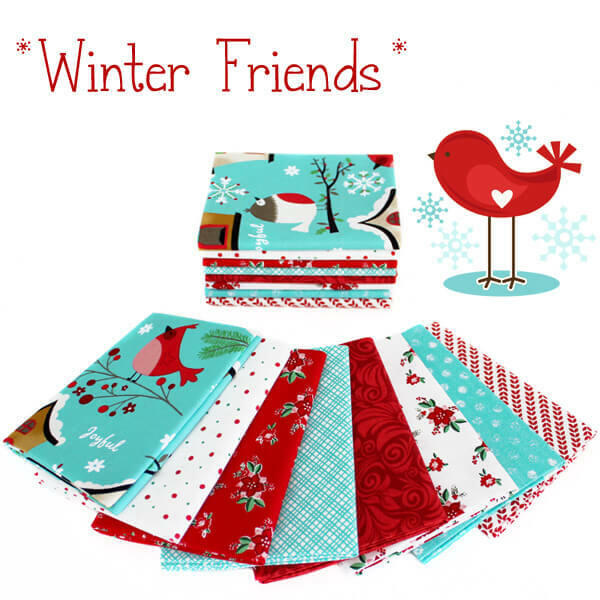 Novice quilters are welcomed with open arms at Bow Bench and are free to use all of Nancy’s quilting supplies, such as scissors, rotary cutters and mats as a way to “try out quilting” before they purchase all the supplies for themselves. Nancy will be teaching Judy’s newest technique, called Vintage Rose, at Bow Bench for one Saturday per month commencing in September. Since Nancy does not offer overnight accommodations at Bow Bench, she hosts the occasional workshop away from her Carseland location. Upcoming is a foundation paper piecing retreat at the Lazy M Lodge near Caroline, Alberta. Here, participants will be able to stay overnight, eat great food and sew to their hearts’ content for an entire week. Nancy is amenable to renting out her facilities at Bow Bench Retreat to individuals and groups. 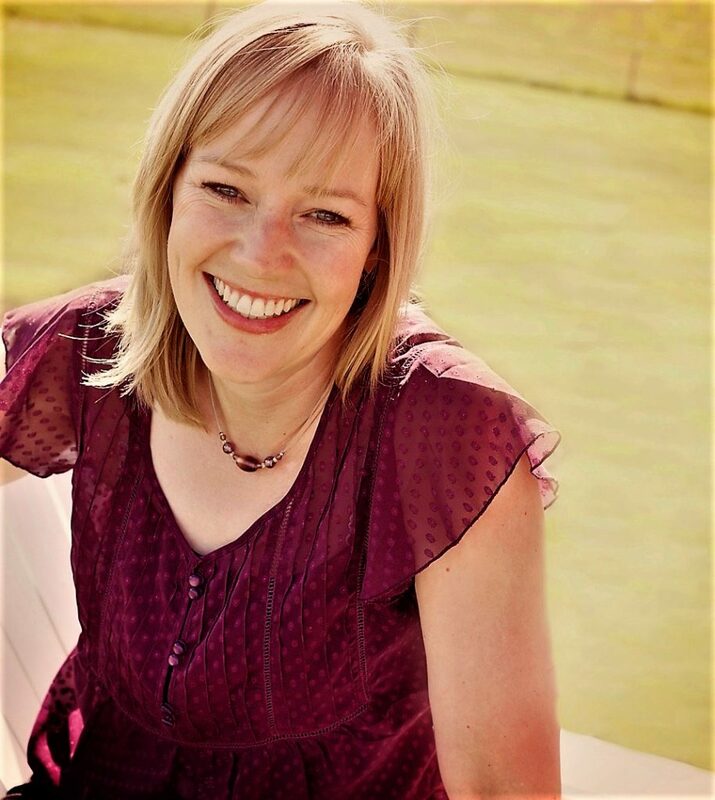 You can contact her at 1-403-934-3491 or email bowbenchretreat@gmail.com. I keep thinking I want to drive back to Carseland just for an opportunity to practise some yoga poses on Nancy’s deck! In the sunshine. Above the Bow River. Amazing! Good day everyone. Thank you so much for joining me here on my blog. I have another tutorial for you all. Ever since Julie at Designs by JuJu released her super sweet Mehndi heart design collection, I’ve been longing to use them for a project. Now, finally, I have! 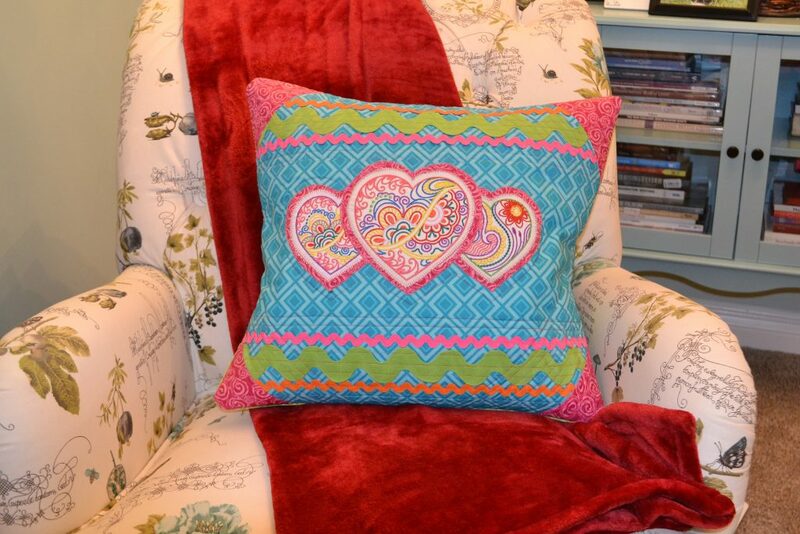 Here is a quick and easy pillow project you can easily make over a weekend. There are ten different Mehndi Heart designs available; your challenge is to choose just three. 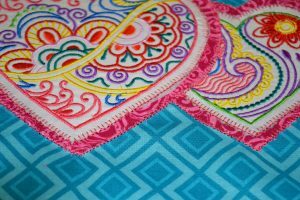 Begin by gathering together a few fabrics, some colourful rickrack and your favourite embroidery threads and let’s get started. 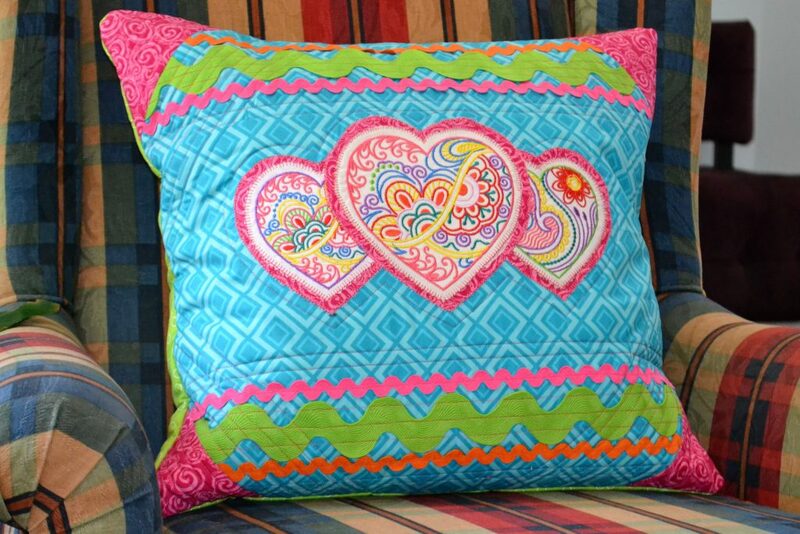 Hope you LOVE your new TRIPLE MEHNDI HEART pillow. Please be sure and read through all the instructions prior to commencing. 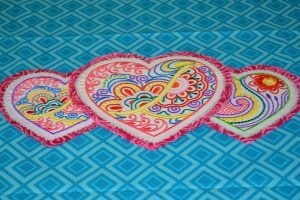 Download three Mehndi Hearts designs, one large and two small. Beginning with the large heart, load the first design into machine. Large hoop 8″x10″ white fabric with corresponding piece of stabilizer and place the hoop onto the machine. 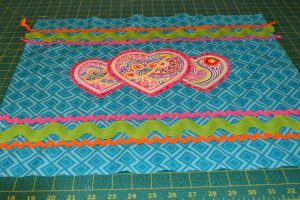 Stitch out the first heart design, being mindful to clip jump threads as you go. Repeat for two small heart designs – medium hoop 8″x9″ white fabric and corresponding stabilizer. 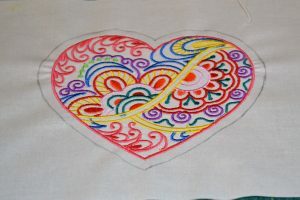 With a pencil, draw a line around the perimeter of the large embroidered heart, ½” from the edge of the finished design. Using pinking shears, cut around the pencil line. Repeat for two small heart designs. Press all three hearts. 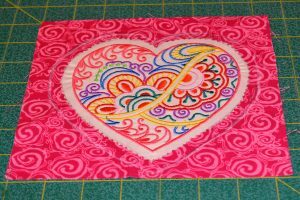 Using fusible web manufacturer’s instructions center and fuse the large heart to the 7″x7½” piece of pink fabric. Repeat using the 6″x6½” pieces of pink fabric for the two small hearts. Using the white pencil, draw a line around the perimeter of the embroidered heart, ½” from the edge of the finished design. Using pinking shears, cut around the pencil line. Repeat for two small heart designs. Fold one blue fat quarter in half lengthwise and press and widthwise and press again to find the natural center. Center all three hearts as shown in the photo, being mindful to line up bottom point on each heart and fuse in place. (Fuse the small hearts first, then the large one). Machine applique stitch around the embroidered heart and the pink fabric heart. Measure 1¾” from bottom of heart tips and with the white pencil, draw a straight line widthwise across the pillow top. 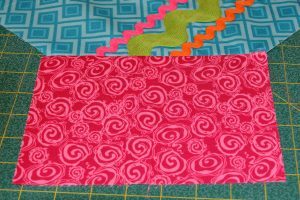 Center 20″ strip of pink rickrack on pencil line, pin and stitch. 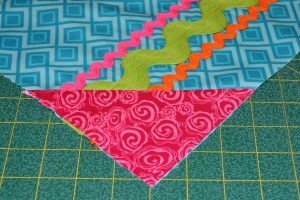 Pin and stitch 20″ strip of green rickrack in place directly under the pink rickrack. Pin and stitch 20″ strip of orange rickrack in place directly until the green rickrack. Repeat these steps for top of pillow. Trim to even. 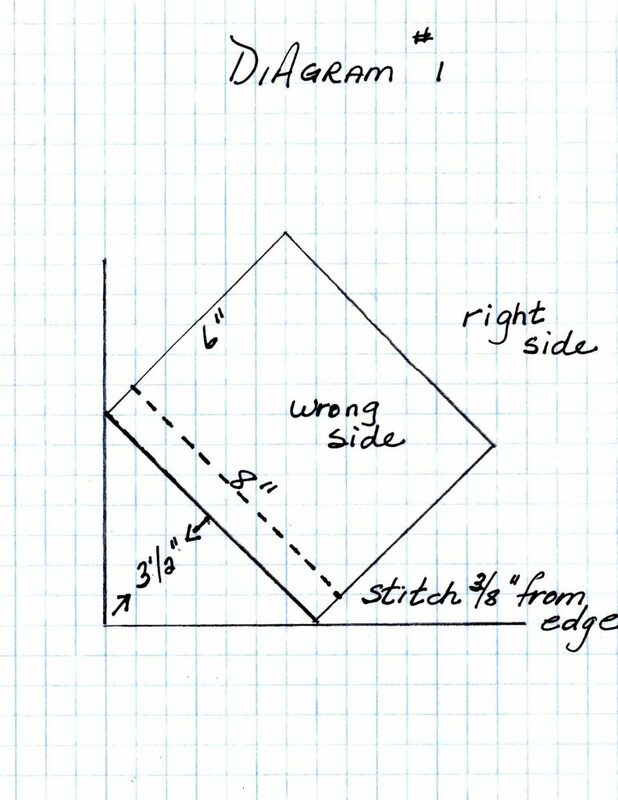 For pillow corners, see diagram #1. After stitching, fold over pink fabric and press. Trim pink fabric to mimic corner of the pillow. Repeat for three other corners of the pillow top. 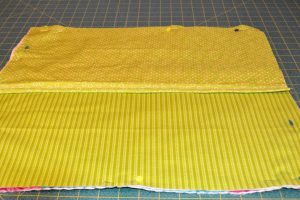 Make a quilt sandwich; place right side of pillow top back (second blue fat quarter) on a flat surface. 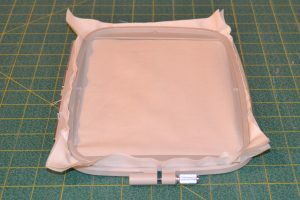 Spray lightly with fabric adhesive and carefully layer the quilt batt on top and smooth. Spray the quilt batt lightly and layer on pillow top. Pin if needed. Quilt as desired. 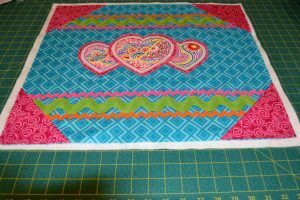 (I used an echo – outline stitch around the triple hearts and a basic, straight line grid to quilt the pillow top.) Trim pillow top to measure 17½”x19½”. 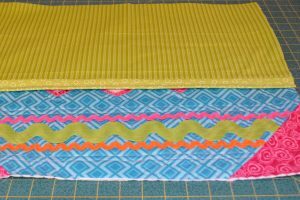 Sandwich a layer of batt between the two green pillow back pieces sized 12″ x21″. Turn under one edge, widthwise ½” and press. Turn under another ½” and stitch. Repeat for two green pillow back pieces sized 13″ x21″. Right sides together, lay one back piece over pillow top, lining up bottom edge. Right sides together, lay the other back piece over pillow top, lining up top edge. Stitch pillow top and pillow back together ½” from outer edge. Trim and turn pillow cover right side out. Insert pillow form. If you have any comments or questions, please email me directly at km.hanson@shaw.ca. Thanks!